Decorative Arts museum offer collection of Colonial decorative art and furnitures. Second is Art Gallery, located at the corner of Parque Vidal. Decorative Arts museum found in colonial mansions, located in the ancestral home of the Carta family, one of the most attractive building facing Leoncio Vidal Park. The exposition include furniture collections of 18th and the 19th centuries, with items influenced by the neoclassical, rococo and imperial Cuban styles. "Open the doors to Christ"
The dining room has an extraordinary collection of china and "linaiero", a piece of furniture containing a filter through which drinking water was passed into an earthenware jar. 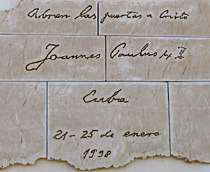 Tinajeros were used in all Cuban colonial homes and may still be found, preserved as a family heirloom, in many modern dwellings. Guevara used American made bulldogger to stop the train. The soldiers on the train surrendered quickly and the fighting for the train was soon over. There is a museum inside the wagons, shows weapons carried on train. 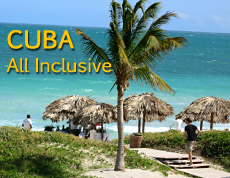 Capital of Villa Clara located in central Cuba, 3 hours drive from Havana through the National Highway. 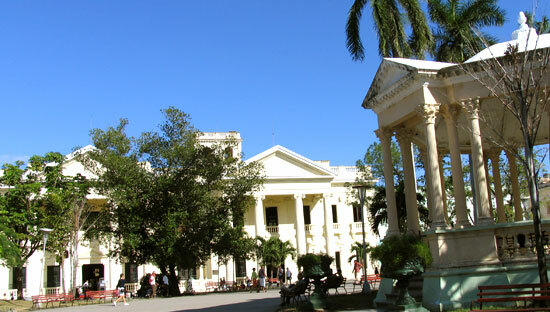 City of Santa Clara was founded in 1689 from the village Cubanacan, of the ancient Indian. Santa Clara has mostly Colonial style architecture with narrow streets. Despite poor illumination during the night, the city is safe to walk around at night. Since 1998, Santa Clara has drawn the interest of foreign visitors as the venue of two. The burial of the remains of Ernesto "Che" Guevara, the Pope John Paul II's visit the city in January 1998. If you in Santa Clara you must visit Cayo Santa Maria located 120 km at north cost. 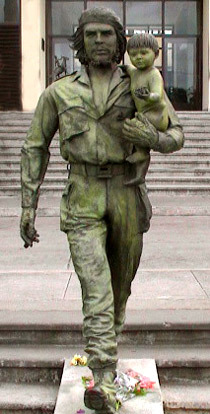 Monument of Che at the Plaza de la Revolucion Ernesto Guevara, with a huge bronze statue of Che Guevara. Enter from National Highway in distance just 1 km. 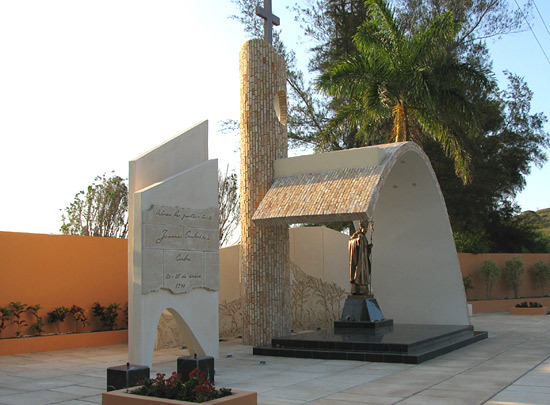 The remains of Che and his comrades who fell in Bolivia have been interred at this site the mausoleum is open to the public. 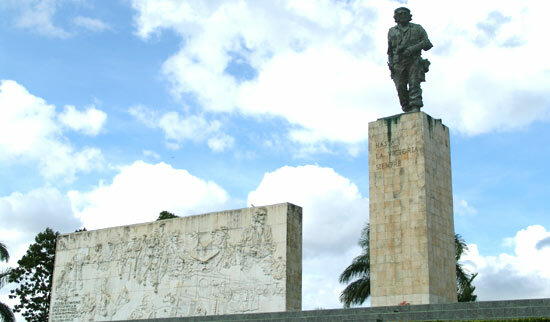 Under the monument is a museum, "Museo Historico de la Revolucion" with good displays about Che's life and role in the revolution. Interesting place is site of the last battle of the Cuban revolution, Batista was on the point of sending an armored train with military supplies and soldiers to Santiago de Cuba to counter attack of revolutionaries. The capture of the train was the decisive factor in the triumph of the revolution. 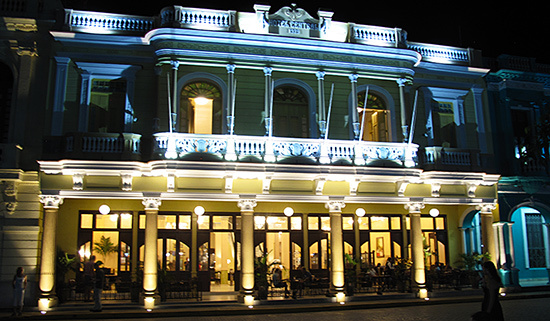 Hotel Central, landmark hotel in Santa Clara is overlooking the main square Parque Vidal now open. There are numbers of restaurants and bars around the park, one near the theatre at the corner offer live Cuban music at night.